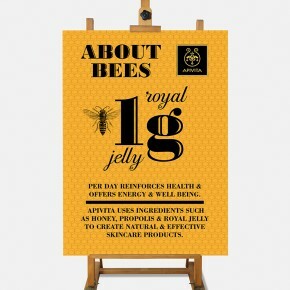 Honey, propolis and royal jelly are the key ingredients of the Apivita natural skincare range. The therapeutic properties of bee products have been at the heart of research and development since the company’s beginnings in the late seventies. About bees is a poster campaign on the life of bees for Apivita stores. 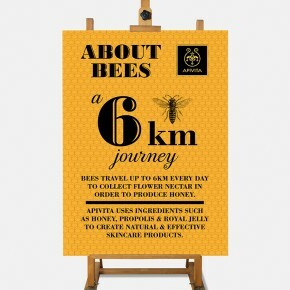 We developed a concept that connects simple facts about bees with the ingredients used in Apivita products.